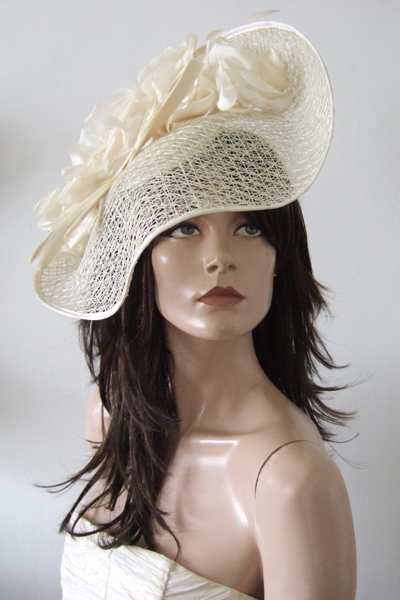 This is a contemporary wavy open weave sinamay disc dressed in silk flowers and jinsin bow. Ivory / Cream worn tilted across the face, and features an arrangement of floppy ivory silk flowers and petals and bow of still jinsin. Secures with an Alice Band on the underside. Alice Band one size fits all.